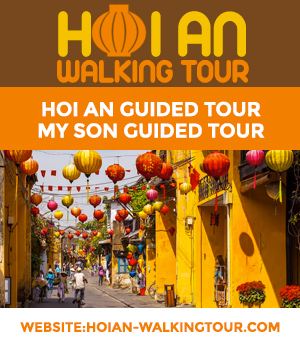 You are at:Home»Useful Informations»How to go from Hoi An to Hué? This is a question that comes up quite often and there are several ways to go to the old imperial capital of Vietnam (named a UNESCO World Heritage Site in 1993 and 100 km away). ). Most of the time, you will have to go from Da Nang. Although Hué has its own airport, there is no connection between Danang and Hué. It takes about 4-5 hours from Hoi An and costs somewhere between 140,000 and 210,000 VND. This is the least practical solution and I strongly advise you to take the bus to Hué city to avoid road accidents, which happen quite frequently, especially in the mountains. Expect to spend somewhere between 90.000 and 140.000 VND, depending on the train you choose. There is no train station in Hoi An, so the departure will be from Danang. It takes less than 3 hours to reach your destination. On the other hand, you will miss out on the different places to see as well as the beautiful scenery. You should also be aware that the website Vietnam-Railway.com is not the train company’s site but rather a travel agency’s. With a private driver, it costs between 1.300.000 and 1.500.000 VND depending on whether you go by by Hải Vân Pass. It takes somewhere between 2 hours 30 mins and 4 hours, depending on the driver, to reach your destination. If you are of the adventurous type, you can rent a scooter in Hoi An (100.000 VND per day) to complete the journey. You will need to go through the Danang mountains either by the shuttle bus that passes under the mountain (30,000 VND for a scooter and 8,000 VND for an adult) or drive along the mountain pass. It is longer but the views are breathtaking. The road is quite simple (Village after the first mountain coming from DaNang) although there are many lorries on this road. By renting a scooter, you can stop whenever you want. This is always nice but you must bring the scooter back to Hoi An. If you have a puncture or other problem, find one of the many phone numbers painted on the mountain walls, they belong to convenience stores. – The last option is Easy Rider. It’s more expensive but also less stressful and risky and you will not have to go back to Hoi An. It costs approximately 1,260,000 VND (€45) Among the various different Easy Riders in Hoi An, I recommend Easyrider Private Day Trips that I took for my first trip to Hué. They are serious and I did not have any problems. There is the Hải Vân Pass with magnificent views as well as a few remaining French fortifications from the war. At the top of the mountain, there is a door (Hải Vân Quan) on which the following words are engraved: “The first door of Vietnam.” I’m warning you in advance that the place is touristy and you will surely be approached by someone trying to sell you something. During the journey, after the mountains, you will see Lang Co, one of the most beautiful bays in the world with a beautiful beach. I suggest a little stopover here to take photos as well as to lay back and relax.